Price is a fundamental profit driver. It is by far the most sensitive profit lever that managers can influence. Very small price changes translate into enormous changes in profit. Price elasticity indicates how sensitively consumers react to price changes. Not only the knowledge about the magnitude of price elasticity, but also the knowledge about the determinants influencing the price reaction is essential. It is crucial for the development of a successful marketing strategy to understand how price elasticities vary with market and product characteristics. 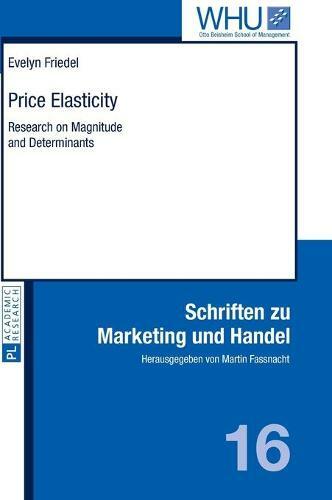 Reflecting the academic and managerial need, the objective of the research is to gain a comprehensive understanding in two main areas, the magnitude of price elasticity and the determinants of price elasticity.